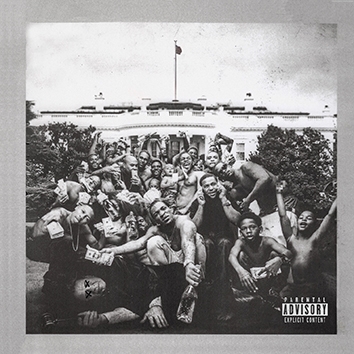 In the late hours of this last Sunday evening, fading quietly into early Monday morning, Kendrick Lamar’s latest, and highly anticipated album, To Pimp a Butterfly dropped, the early release surprising and throwing off everyone. The album (originally slated to release the next week) was heralded with joy and excitement by Lamar fans everywhere (if not the entire internet) and our normally expected dreary Monday morning turned into something fresh and exciting. We had already heard two singles—the surprisingly optimistic “i” and the aggressive and angry, “The Blacker the Berry.” What fills in the gaps of the rest of To Pimp a Butterfly is unexpected, fresh, and sometimes strange. The album begins with a smooth horn note from George Clinton and bass from Thundercat, Lamar unleashing his strong and unbeatable verse and voice. The next song is like some sort of spoken-word jazz piece and the rest of the album layers Kendrick’s unbeatable lyricism with jazz/funk inspired undertones. It’s not particularly bass heavy or even “single” heavy. There are less cameos from folks like Drake or Dre (Snoop Dogg makes an appearance though) than on good kid m.A.A.d city and the album is nuanced in the way jazz usually is and occasionally jarring (Lamar’s appearance on Flying Lotus’ track “Never Catch Me” was a good preview for the feel of Butterfly). It’s very much an album, with a beginning, middle, and end; and it has a repeated theme of depression and black oppression throughout. Butterfly is not a particularly accessible album, if anything the opposite. It’s complicated. Kendrick implicates white oppression and then himself, and does the same with love, faith, race, and so on. It’s definitely about something, which is more than you could say about most hip-hop today, even gargantuans like Kanye and Drake. Whatever it’s reception; it’s a marked step forward for rap and an impressive follow-up to his last. 2014 was a great year, for movies at least. Globally, not so much. If you’re not an avid indie-cinema nerd then Richard Linklater is one of those directors who sneak up on you. Chances are you’ve seen one of his movies and not even known it (Dazed and Confused, School of Rock, Before Sunrise, A Scanner Darkly). But once you get a taste for his casual, yet profound style of filmmaking your movie viewing experience will be forever changed. Many of his films take place within a 24-hour time period giving a large dose of realism to an industry that’s often focused on the spectacular and extraordinary. Linklaters gained prominence this year especially as his magnum opus of a film, Boyhood, is slated to amass a slew of awards. The most talked about feature of Boyhood has been its filming history (Linklater began filming Boyhood 12 years ago and used the same cast and crew every year for a couple weeks of the year) but even if he didn’t shoot the film in such a manner it would be a tremendous story. It’s profoundly American (in both the good and bad), a true portrait of change, maturity, and the significant, yet terribly normal, course life takes. Ethan Hawke (who I now think should work only with Richard Linklater as he’s phenomenal in his movies but completely hit or miss in everything else) and Patricia Arquette give great performances and Ellar Coltrane as the real-time morphing boy is superb. David Oyelowe gives perhaps the performance of the year, if not his entire career. His mannerisms, voice, and moral-burden-carrying face move Selma in lush portraits of humanity, dignity, and perseverance. Director Ava Duvernay does a great job focusing the vast array of M.L.K’s career into the events around Selma rather than attempting a vast biopic. The movie is tight, focused, and inspiring (a word I’d normally never use to describe a film as it’s so vastly overused, and bromidic, but in this case fits). Captain America star Chris Evans stars in the new film by Joon-ho Bong (director of The Host). All of humanity has been wiped out by an artic freeze as the result of a counterattack against global warming, and the last few remaining survivors are on board a bullet train that races around the globe. For those in the back of the train the situation is dire, they’re fed black protein blocks of goo and cramped in dirty dirty living quarters. A revolution is brewing though and Curtis (Evans) must lead the other proletariat against the ruling powers and try to make it to the front of the train. As the film unfolds layer upon layer of the train and its society are unlocked in both beautiful and haunting fashion. It’s brilliant commentary on society, though at first glance you may miss it. Brilliantly written and directed by John Michael McDonagh (who also did the The Guard with Gleeson) Calvary is the bleakest of black comedies, one that will leave you both changed and disturbed. It’s a dark, brooding piece on forgiveness, injustice, and sin—both ecclesiastical and personal. Tis not for the faint of heart. Just a fun movie. Best Marvel film yet. This rag tag group of characters give depth and meaning to an otherwise other-worldly universe. This is perhaps Wes Anderson’s best film to date. It has all the Anderson quirkiness we’ve come to expect—elaborate set pieces, quirky characters, and deadpan humor but seems to have more layers than his other films, even down to the aspect ratios the movie is shot in. And Ralph Fiennes is incredible. In the hands of any other director this movie could have taken some wrong turns. However with the expert direction of the master of dark cinema (David Fincher, Fight Club, Seven, Girl with the Dragon Tattoo) this movie stuck to the text of the original novel by Gillian Flynn and somehow does better. Locke stars Tom Hardy, as the only man on camera for the entire film. In fact the entire film takes place in one location: a car, at night. What does Tom Hardy do in this car? He talks. Not to himself but to other people through his cars built-in-hands-free-phone. He’s on a mission. But what is his mission? Where does he have to go so urgently? What has happened that is more important than his job, his wife, and his family? These are the questions that may run through your mind while watching Locke, and while it may seem like a cruel joke, the film is actually a testament to the minimalism of film making and acting. The film is taut and gripping, never boring. Hardy raptly holds our attention and delivers a performance very few others could. To say any more about the film would be to spoil it, but suffice it to say the film is a deeply human portrayal of mistakes, regret, and what it takes to set things straight. 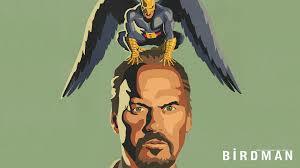 By far the most entertaining movie of the year, and perhaps the best. Many will not say so because it’s well, sort of about nothing, or about somethings, those somethings becoming ever more slippery as the movie progresses. Based on the novel by Thomas Pynchon and expertly (as always) directed by Paul Thomas Anderson. The director of There Will be Blood and Magnolia presents us with the last hippie of California, Doc (Joaquin Phoenix), a private eye who investigates the disappearance of his girlfriend and runs into (among other things), a possible drug smuggling ring, a gang of Nazi bikers, runaway youth, a possible undercover agent, a straight-laced cop moonlighting as a T.V. actor cop, all while remaining deliriously and hilariously high. A great movie based on a heartbreaking and fascinating story. However, the movie tries way too hard to be everything award audiences want: a bit of wit, crying, an inspirational saying repeated throughout. It’s not quite as brilliant as it thinks it is. The Hobbit: Battle of The Five Armies (I thought I’d hate this movie or at least be as severely disappointed with it as the last two Hobbits, but I was pleasantly surprised. It has all the epicness of Lord of the Rings with only a little bit of melodrama of the previous Hobbits. Also, it finally returns to the main allegory of why we’re all here, to the theme of greed and power and their ability to corrupt. Movies I have not seen yet most of which I’m pretty sure would supplant the current list, may have to get back to you in a couple weeks.